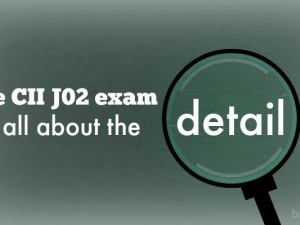 Next in line for our exam paper analysis is J02, the exam which covers trusts – useful for those preparing to sit CII J02. 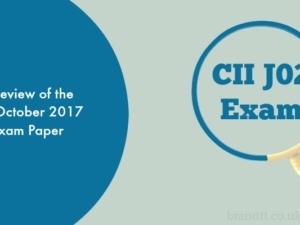 You can find the latest exam – October 2018 – by visiting the CII website. Two hours are allowed for the J02 paper, which is made up of 15 short-answer questions and carries a total of 130 marks. The paper started with a question on the powers trustees have to vary interests under a flexible power of appointment trust and the tax consequences of including the settlor as a potential beneficiary. This seemed like a nice and fairly gentle start to quite a technical paper. Question 2 wanted the pros and cons of using a corporate trustee over a lay trustee and the main actions a court can take if a trustee commits a breach of trust. Again, students who had studied well, or have spent time working with trusts, should not have had difficulty with this question. 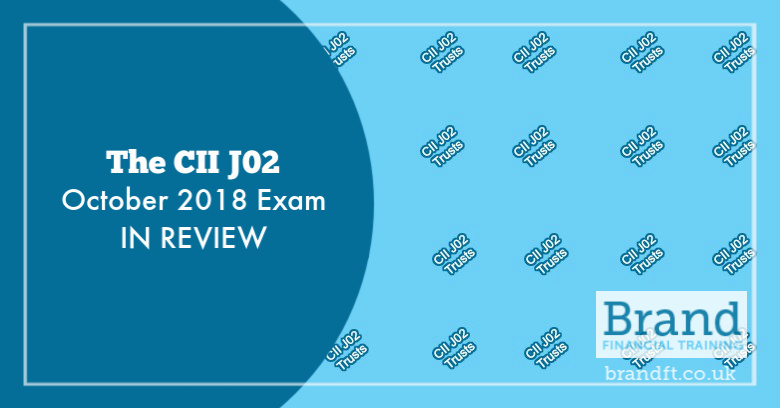 The exam continued with the main non-tax features of an interest in possession trust created in 2018 with the second part asking for the tax treatment. Question 4 wanted four methods of creating a trust and the information a deed should contain. This question gave an overall mark of 10. For another 8 marks, the exam continued with questions on the features of an immediate post death interest trust and their IHT treatment. We then had another question on trustees – this time in relation to their delegating their functions. Powers of attorney will always be tested, and this exam paper saw the turn of enduring powers of attorney. We also had questions on the powers of the Court of Protection and the main duties of the Public Guardian; both of these subjects have been tested heavily in the past. Question 9 tested the laws of intestacy for a widower with no children and continued with the impact of divorce on the wills of a married couple – again two areas that are regularly tested. For 7 marks delegates then had to give a description of the official receiver and explain their role and for another 3 marks explain the main aim of the trustee in bankruptcy. We then had a calculation; delegates had to work out the income tax on dividends and interest received by a discretionary trust. This was for 9 marks so could have been a challenge. Question 13 seemed to jump into J03 territory as delegates were asked to describe how life insurance could be set up as part of a cross option agreement and also for the associated tax implications. Onto the home straight and the last two questions; these covered the operation of a flexible reversionary trust and finally a ‘factors’ question asking for 8 factors an individual should take into account before making further gifts into a discretionary trust. Let’s compare this to last April’s paper, which can be found here. It’s always interesting to read the examiner’s comments on candidate’s performance. In this sitting, the comment was that they performed well overall. Questions that scored well included those on LPAs, wills, and trust taxation. They didn’t seem to do as well on areas such as Protectors and IVAs. As you can see, the exam covers similar areas each time. 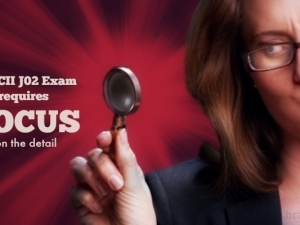 Trusts are of course a specialist subject, and candidates sitting the exam will need to have a wide knowledge of trust law, as well as a detailed knowledge of the taxation of each of the main types. A successful candidate will be one who has studied the learning outcomes and carefully prepared a study schedule to cover all the main areas that come up time and time again. If you’re studying for your CII J02 exam, and you’re wanting to be thoroughly prepared, grab our free taster to try out one of Brand Financial Training’s resources for yourself. 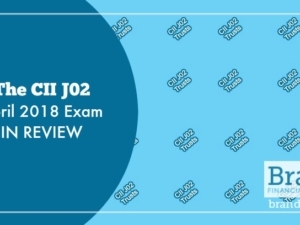 Click the link to download the J02 mock paper taster now!